If you can break through 8 levels of treacherous arctic ice, you’ll reach the top of the mountain! But watch out. The Nitpickers, Condors, and Ploar Bears don’t want you up there. And they’ve got a bag of tricks that will test every ounce of your strength and courage. Are you going to let them stop you? No way! 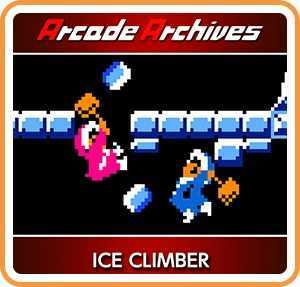 There are 32 mountains to choose from and endless thrills as you fight these arctic creatures alone or with a friend, and ascend to the top of the mountain in ICE CLIMBER!